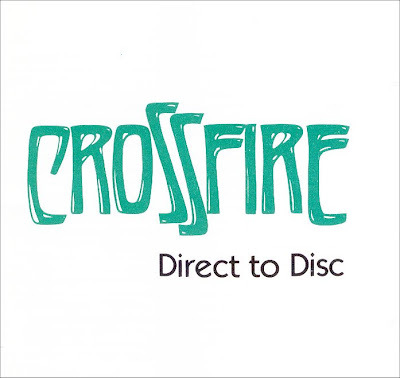 The Australian jazz fusion band Crossfire was formed by guitarist Jim Kelly, keyboard player keyboardist Michael Kenny, and percussionist Ian Bloxsom in 1974, in Sydney. Additional band members have included Tony Buchanan (flutes), Don Reid (sax/flutes), Phil Scorgie (bass), Greg Lyon (bass), Doug Gallagher (drums), and Steve Hopes (drums/percussion). 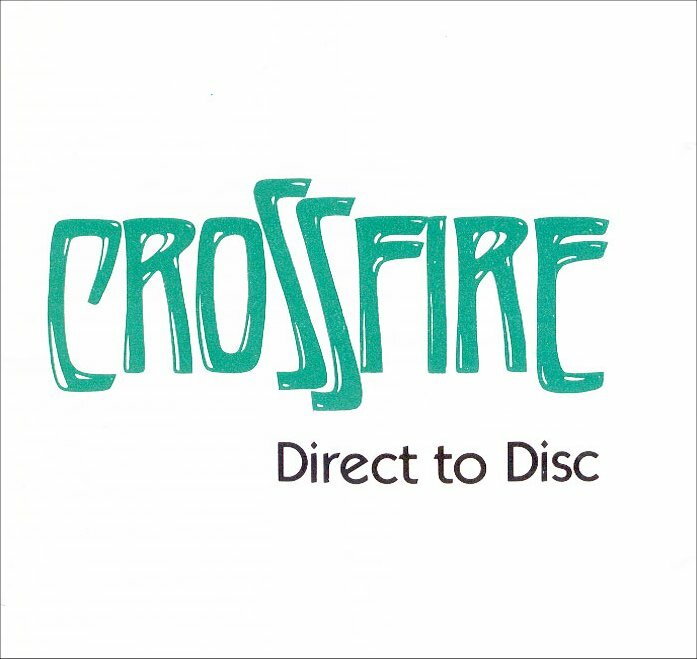 Crossfire were of a high enough standard of musicianship to gather worldwide recognition, the band served a long apprenticeship in jazz venues, often as the backing band for other artists, with the various members still concentrating on session work. Early on the band showed a lot of blues influence in their playing probably due to members having played in R&B and soul bands previously. 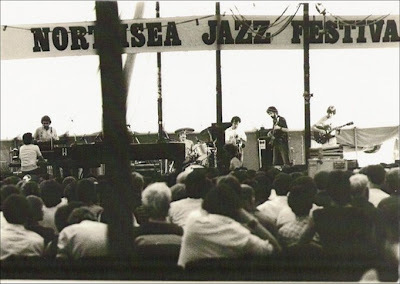 By the late 70s the band was touring widely overseas, spending time in Asia, Europe and America, having played such prestigious gigs as the Newport Jazz Festival, Ronnie Scott's in London and The Montreaux Jazz Festival in 1982 (see pictured right). 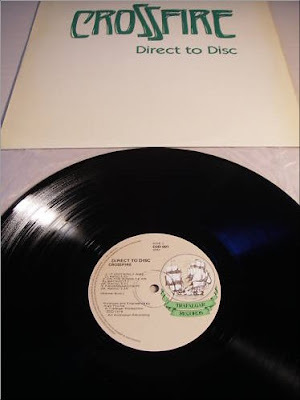 They recorded seven albums while together, including a live album with U.S. vocalist Michael Franks (see previous post) and produced Australia's first direct-to-disc LP in 1978 (as included in this post). Crossfire also performed on collaborative tours with Lee Ritenour, Don Grusin, and Randy Brecker. Lead guitarist Jim Kelly went on to release several CDs as a leader and record with D'Volv, in addition to working as Head of Guitar Studies at Southern Cross University in Lismore. Likewise, further information on Greg Lyons (Bass) can also be found at his website. 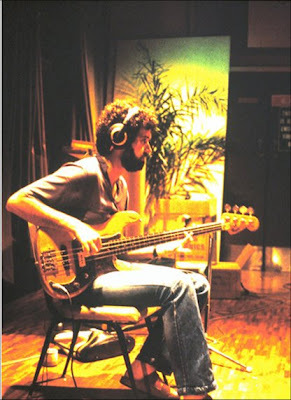 Greg is pictured left in the studio, sometime in the late 70's. The analog direct-to-disc recordings were therefore the most expensive and the most ideal when judging on quality of sound alone. 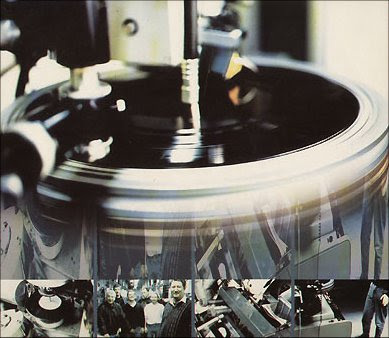 The drawback of the vinyl long playing record is however that only a restricted number of copies shall be pressed. A number of 1500 per matrix is the maximum if a relatively high level of quality is to be guaranteed. 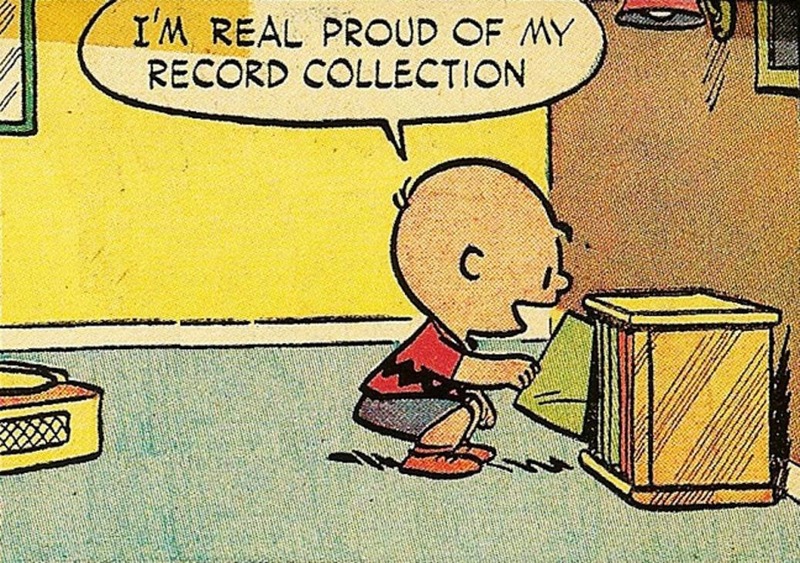 The rip was taken from my mint condition 'direct-to-disc' vinyl at 320kps and sounds as crisp as the day it was cut Ah - give me a shot of vinyl any day ! It is somewhat regrettable that you will only experience a digital version of this album, but I'm sure you will enjoy the music just the same. I also include full album artwork along with select photo s of the band at that time period as well as current photos. Thanks to Greg Lyons for some of these shots. Note: While doing some research into this album, I stumbled on a 'weird' copy of this LP for sale on eBay. 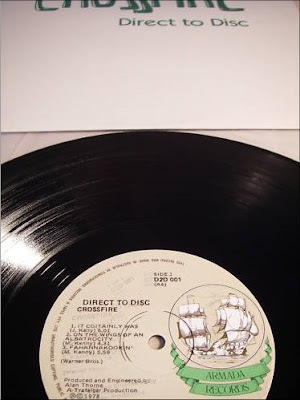 The pressing in question has 'Armada Records Logo' printed on its label, rather than 'Trafalgar Records Logo', even though it clearly states the LP is released by Trafalgar. The correct label is shown on the right, and the 'pressing error' below right. 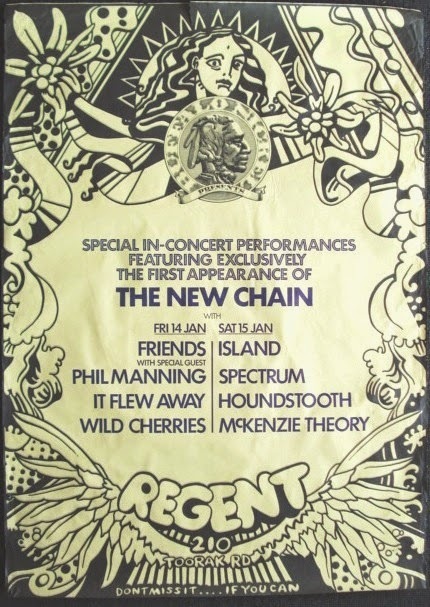 Bassist Phil Scorgie is the right spelling of Phil's surname. Good information about cutting discs perth. Very helpful these contents about cutting discs perth for me.